Assistant Minister for Defence David Fawcett announced Laing O’Rourke as the managing contractor for the Australian-Singapore Military Training Initiative (ASMTI) Facilities Project works at the Shoalwater Bay Training Area (SWBTA). Senator Fawcett said this announcement was a win for Rockhampton and the Shoalwater Bay region. "Injecting up to $660 million into the regional economy over a five-year period, the project will deliver enhanced military training areas to the Australian Defence Force while fostering Australia’s close relationship with the Singaporean Armed Forces (SAF)," he said. Laing O’Rourke has developed an extensive local industry capability plan to ensure local businesses can take advantage of the opportunities arising from this project. Laing O’Rourke will begin engaging with local industry in the near future, to let them know about opportunities and how to register their interest. "Laing O’Rourke has committed to sourcing over 80 per cent of work from the central Queensland region, ensuring local business can take advantage of the opportunities arising from the ASMTI," Senator Fawcett said. It is expected that SAF personnel numbers and the military equipment brought to Australia will progressively increase as the new infrastructure and facilities are built. As this presence increases, opportunities for local businesses to provide support and services will expand. Up to $2.25 billion will be invested in central and north Queensland over the life of the initiative. ASMTI is one of the key elements of the Australia-Singapore Comprehensive Strategic Partnership (CSP) and provides a unique opportunity to enhance suitable training areas in central and north Queensland. 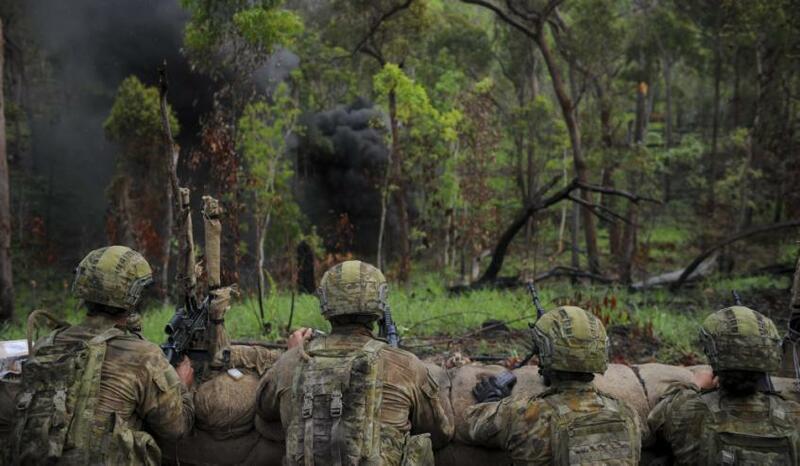 This initiative provides increased access to Australian military training areas by the SAF. Building on existing defence co-operation, the initiative is an important means of strengthening Australia’s bilateral defence relationship with Singapore.